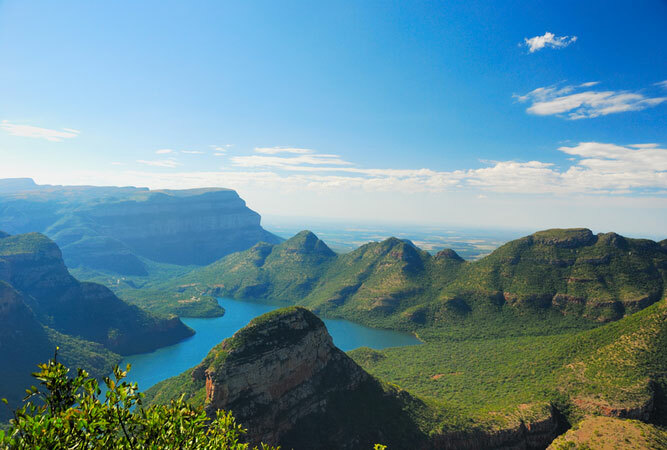 The Panorama Route runs along the spectacular Blyde River Canyon in Mpumalanga and is arguably one of the most beautiful and popular travel destinations in South Africa. The Panorama Route is best known for its cultural heritage and its dramatic landscapes. It leads through the rocky mountain range of the northern Drakensberg. 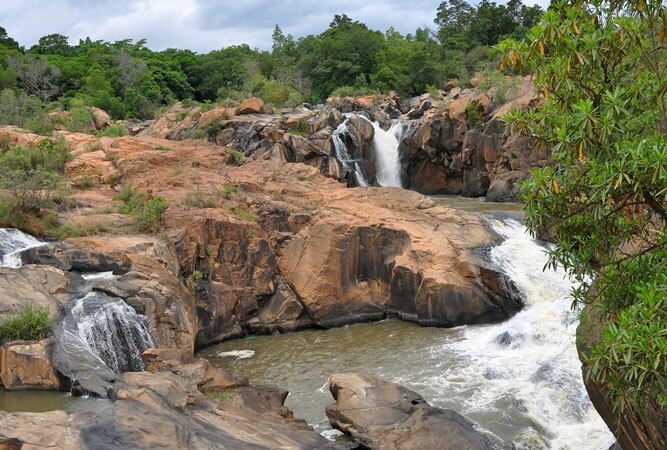 It is here where the inland plateau declines abruptly and steeply and opens up fantastic views of the plains of the Lowveld up to a 1000m below. It is probably the most photographed, painted and admired area in the country. The Panorama Route boasts many exciting attractions, waterfalls, lovely towns and historical sites all well worth a visit. Ohrigstad, Hazyview and Pilgrims Rest to mention a few, provide numerous scenic attractions as well as an insight as to how the settlers lived many years ago. On the Abel Erasmus Pass there is the opportunity to see one of the rarest birds in the world known as the Taita Falcon. The presence of these magnificent birds in South Africa was only discovered in the 1990s. The Panorama Route offers a vast array of exciting options for the visitor and boasts some of the best adrenalin pumping adventures in the country such as white water rafting, hot air ballooning, bungee jumping, rock climbing and much more. It also affords many the opportunity to go gold panning just as the settlers did over a century ago. For the less adventurous, enjoy superb bird watching, game viewing, trout fishing, mountain biking, hiking or simply marvel at the splendours of the region. (See Things to Do in Panorama Route). 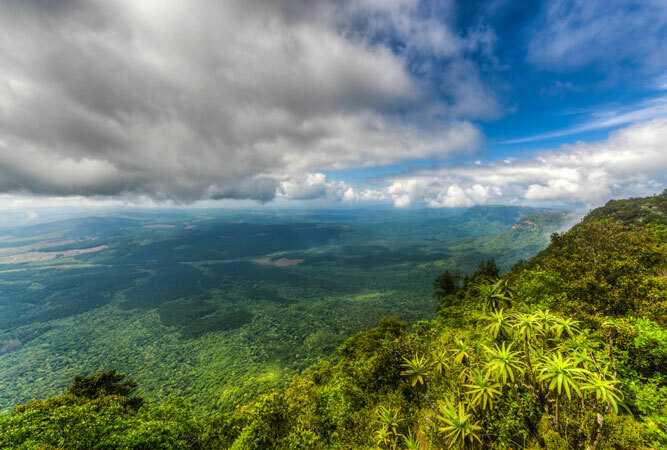 One of the major highlights of the region is The Blyde River Canyon Nature Sanctuary, home to spectacular wildlife, birdlife and plant-life and some of the best views in the country. The Blyde River Canyon is the third largest canyon of its kind in the world. 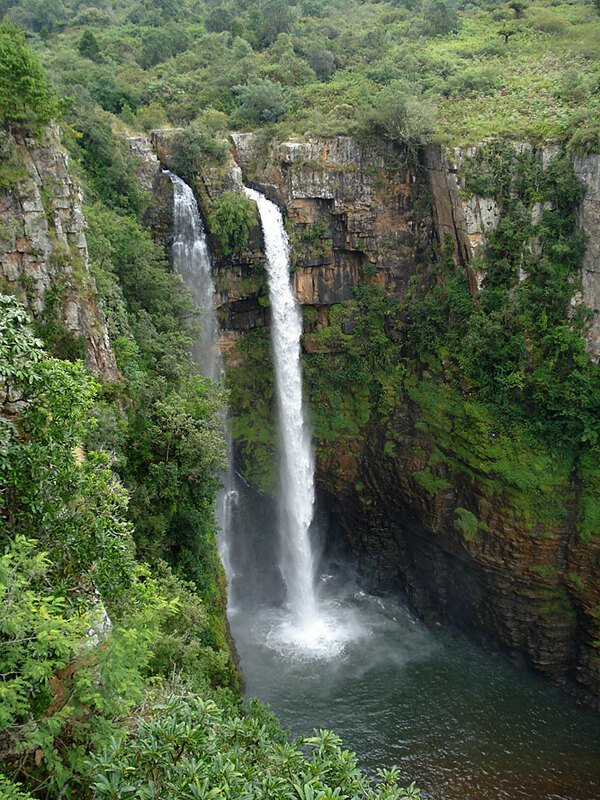 Other highlights include the exquisite waterfalls (see Mac Mac Falls) in Graskop and Sabie, The Echo Caves that speak of Africa’s powerful tribes, trails left behind by the Voortrekkers in regions such as Lydenburg and Ohrigstad, ancient artistic footprints left by the indigenous peoples of Africa and the Gold Rush territory, Pilgrim’s Rest, which was home to the early gold prospectors. There is something here for everyone. All activities and attractions are complemented by the unsurpassed scenery and surrounding terrains. The Panorama Route is definitely a must to visit when travelling in South Africa.